Oxford, CT (January 22, 2014) – The Egyptian National Library and Archives (NLA) in Cairo is the largest library in Egypt and is one of the most revered historical institutions of the country. 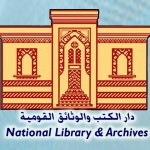 Since 2007, the NLA has been undergoing a modernization that involves digitizing the material as well as adding new information technology systems to make access to documents faster and easier. Also included in the modernization are enhanced displays with carefully controlled lighting and levels of humidity to help protect the rare documents. Along with the enhancements were improvements to NLA’s security operations including the addition of Morse Watchmans KeyWatcher key control and asset management systems and Morse Watchmans PowerCheck guard tour systems. The KeyWatcher system is a ready-made solution for storing and tracking building keys and the PowerCheck system organizes and manages guard activities. Together, they provide a comprehensive security solution for securing and protecting the valuable manuscripts. The NLA has been equipped with a KeyWatcher and PowerCheck system. Facility keys for each are secured in the KeyWatcher cabinet and users can only access those keys which they have been pre-authorized to use by entering their PIN code. All access activity is automatically recorded so management has a detailed record of who took which key and when. For added security, NLA’s KeyWatcher system includes the Morse Watchmans KeyPro software programmed to generate daily activity reports, which detail all access activity. Mr. Naguib also remarks that system administration is very easy. Prior to implementing the Morse Watchmans security solutions, the NLA relied on traditional manual procedures such as log books for managing keys or for recording guard tours. The automated systems from Morse Watchmans add reliability as well as additional layers of security to the operation. For example, using the automated PowerCheck guard tour hand-held data recorders, the security guards check into key stations that are strategically located throughout the building. The date, time and location of the check-in are recorded on the hand-held device, and if a key station check-in is missed the information will be flagged in the report.